I am so excited to share this project today, and it isn't even mine! 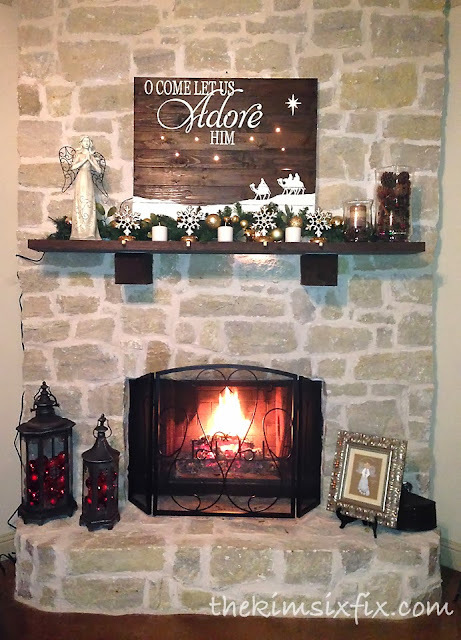 Amy (a reader) sent me photos of her mantle where she copied my lighted reclaimed pallet lumber sign and the minute I saw it I knew I had to share it here. Plus I love her mantle (look.. it has a real fire in her fireplace!) 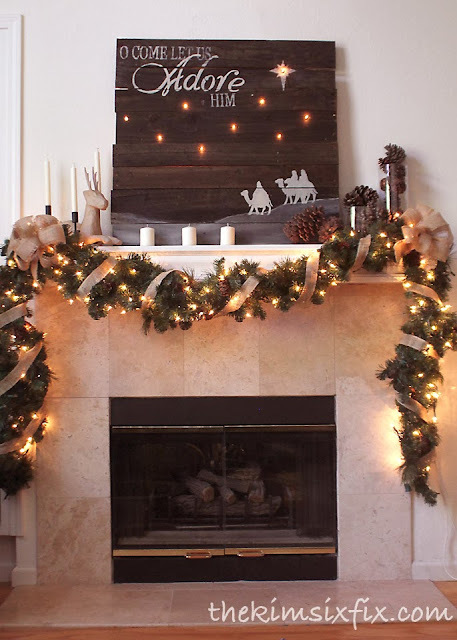 The angel and snowflake stocking holders are just the right size (and give a touch of bling), while the gold, white and brown color palette is perfection! She did do a few things differently than my original tutorial, which makes the project a little more acessible if you can't find any (or don't want to find any) pallets. 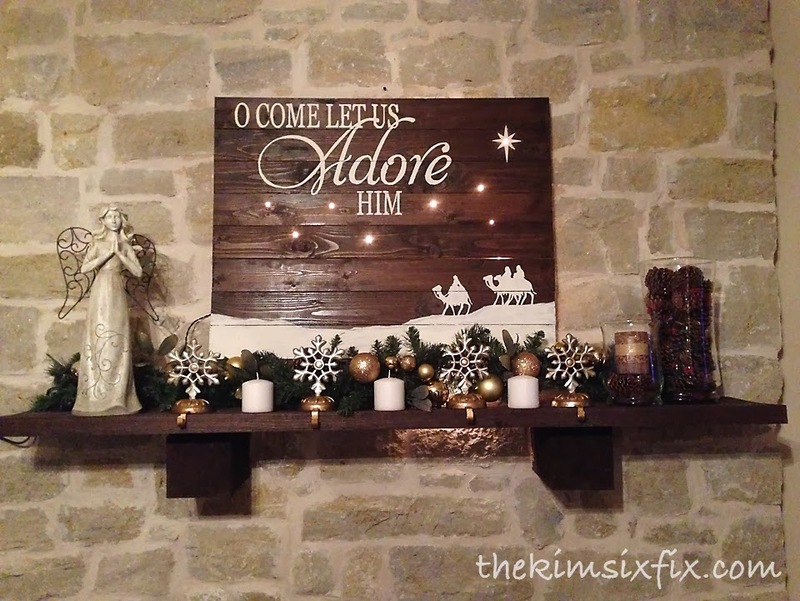 Instead of using reclaimed lumber she went to Lowe's and bought (2) 12' cheap pieces of 1x4 lumber (less than $12 total), which they cut into 3' pieces (for free) for her. And then she bought one $4 piece of lumber (they again cut to size for her) to attach all the wood to. For the printing she took the images (links to the graphics are in the comments of my tutorial post) to her local Office Depot and they enlarged them 200% and printed for her to make a stencil. The whole project probably came in for under $20! Yep.. I definitely like hers much more!